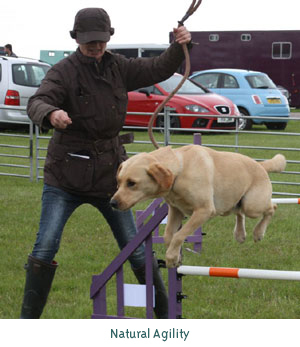 Having heard that The Chiltern and Thames Magazine were hosting a ‘fun’ dog show and agility competition at their annual Championship Horse Show this September, I eagerly volunteered VioVet’s services and was thrilled to hear they had accepted our offer! 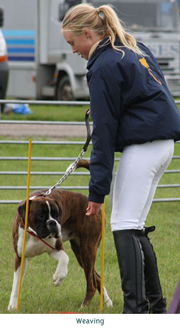 The Championship Horse Show has been proudly held since 1997 and is a popular event in any equestrian’s calendar, so, being passionate about animals myself, I was keen to get involved and to put my judging skills to the test, having previously featured in similar competition events. Whilst I might not be qualified to judge a serious dog show, I am more than capable of spotting a “waggy” tail when I see one! The Chiltern and Thames Rider Magazine is an excellent read and VioVet is pleased to be associated with it, having come into close contact with the magazine’s staff on several occasions. The event itself is renowned amongst horse enthusiasts and amateur riders, who get the opportunity to compete alongside those of a similar ability, whether in show jumping or dressage. Despite the Championship’s reputation as an equine event, horses were not the only animals under scrutiny that day. For this reason, I wanted to put in the judging performance of my life. 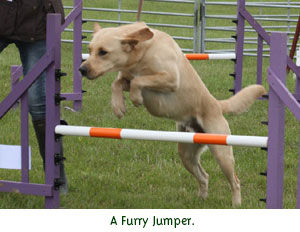 Despite my nerves on the eve of the event, I was sure to remind myself that a ‘fun’ dog show was going to be just that. How hard could it be? Little did I know the ‘fun’ dog show I had volunteered myself for was going to turn out to be far more serious – I was quick enough to catch the hushed words of some competitors, asking “why is he only picking out black dogs?” and “why are only big dogs winning?” – but I gladly embraced the responsibility of my newfound role, even if my integrity at such a serious event was in doubt! 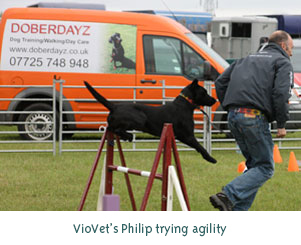 Fortunately for me, the agility judging was being taken care of by Sharon Chamberlin from Doberdayz.co.uk, and it was agreed VioVet would provide all rosettes and the Barking Heads food prizes for first-place competitors. All I had to do was stand and observe, a seemingly impossible task to get wrong, but I was surprised by the extraordinary lengths some would go to in order to ensure first-place position for their dog. Based on past experience I knew how quickly a village fete could descend into a battlefield, as family disputes were fought out inside a squared enclosure. No dog show wants to be accused of favouritism or bribery, and I made sure I remained professionally impartial at all times, declining any offers of Victoria Sponge! That said I enjoyed the day, even more so when I awoke to sunshine rather than the forecasted rain! The weather was surprisingly kind and the perfect conditions for judging a dog show. With razor-sharp decision-making at my disposal, I met my VioVet colleagues at the Herts Showground. The dog show entrants queue was forming and I was suddenly struck by the enormity of the task ahead. It might have been a ‘fun’ dog show, but the expression on the young faces of those competing with their dogs was enough indication of how serious the event actually was. With pressure mounting, I decided to take a stroll around the Showground and watch the horse events that were also taking place. It seemed as many entrants had come with a canine on lead as an equine on rein, so with a coffee in hand I headed back to the show ring. 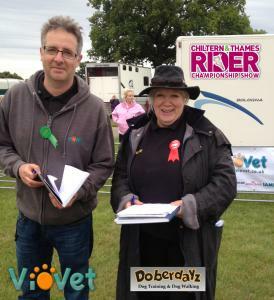 I was introduced to Doberdayz’s Sharon who guided me through the proceedings like the true pro that she is! Then began the impossible task of determining which dogs were most worthy of the prizes. I struggled with this because in my eyes, every competitor could have taken home a rosette, and it was upsetting to see the disappointment on the faces of doting owners that thought their pride-and-joy deserved first place. Equally, it was heart-warming to witness the excitement that accompanied the winners and their dogs on realising they had scooped the prize! All too soon my VioVet colleague arrived to take over the final few categories and I was relieved of my judging position. As far as I could tell, the Championship Horse Show had been another success, with many people, horses and dogs leaving happy. The ‘fun’ dog show had lived up to its name, with a healthy dose of competitiveness thrown in, and I was glad to have volunteered VioVet’s services for the event. So, with three ‘fun’ dog shows under my belt, perhaps it’s time I considered becoming a judge at Crufts ? 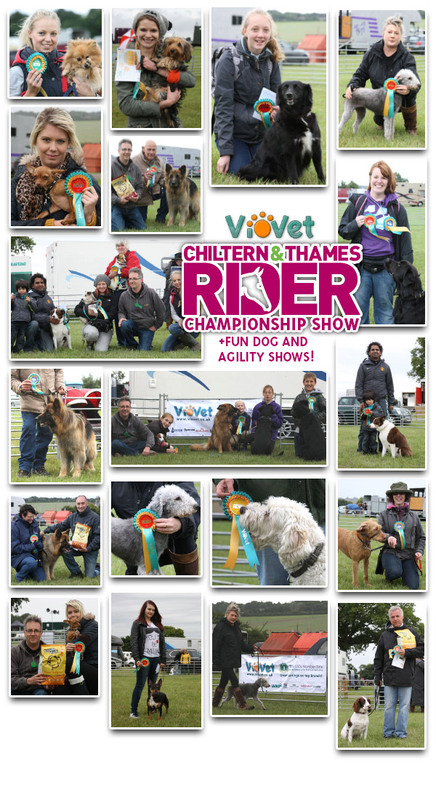 Many thanks to the Chiltern and Thames Rider staff for putting on such a great show! Same time next year? Special thanks to Caroline Hamilton for providing pictures from this event. This event looked right up my street don't know how I missed It,I would like to know when the next one comes along, I think It would do my dog good as she,s a bit shy and nervous some times,she is a rescue dog we rescued from the Greek Island of Crete.